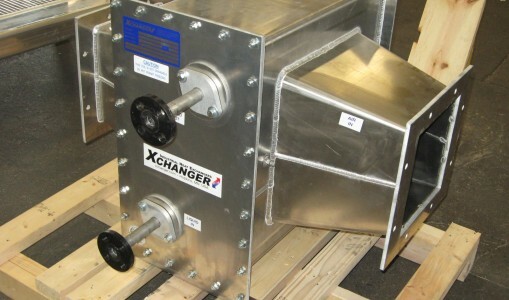 C Series heat exchangers heat and cool low pressure gas streams. 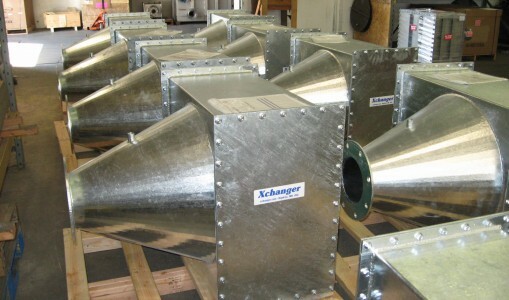 The modular C Series design allows a standard design to easily be customized to give a custom fit. 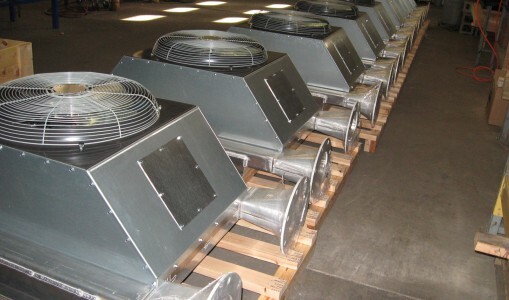 Use our interactive online form to get a fast and accurate quote! 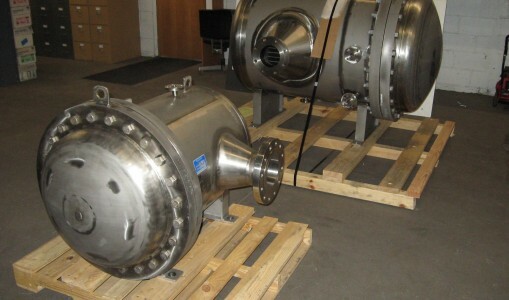 Aftercooling, dehumidifying, and heating air delivered from rotary-lobe and multistage centrifugal blowers used in pneumatic conveying, air separation, and printing systems. 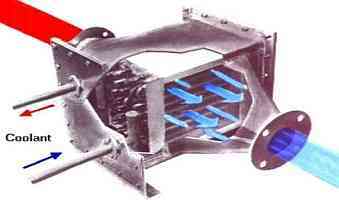 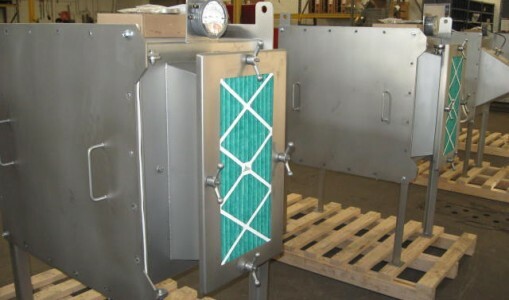 Heat exchanger cores are removable through both the front and back sides of the housing without requiring disassembly of the gas line. 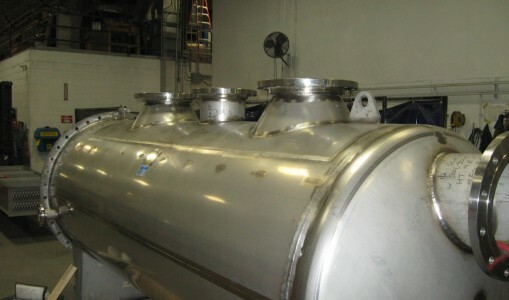 Pressure tests from a full vacuum to 15 PSIG are available. 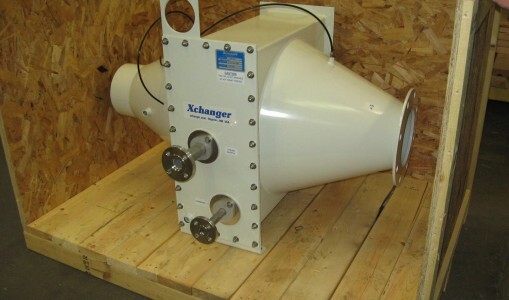 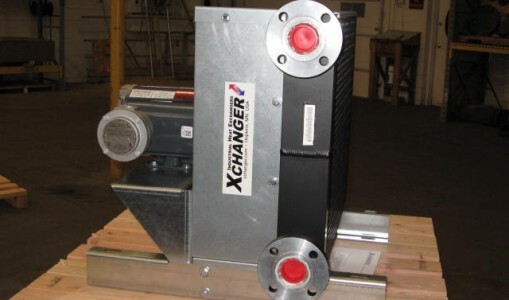 Xchanger engineers use a computer model to analyze heat exchanger performance based on the best available engineering practice. 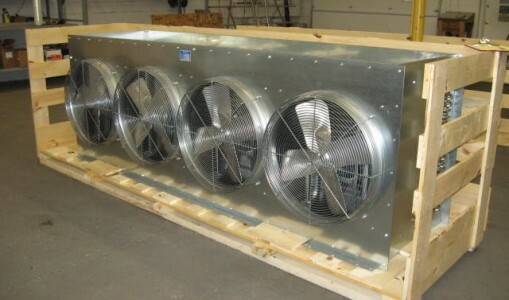 A database with fan performance data allows us to select the best fan for the application. 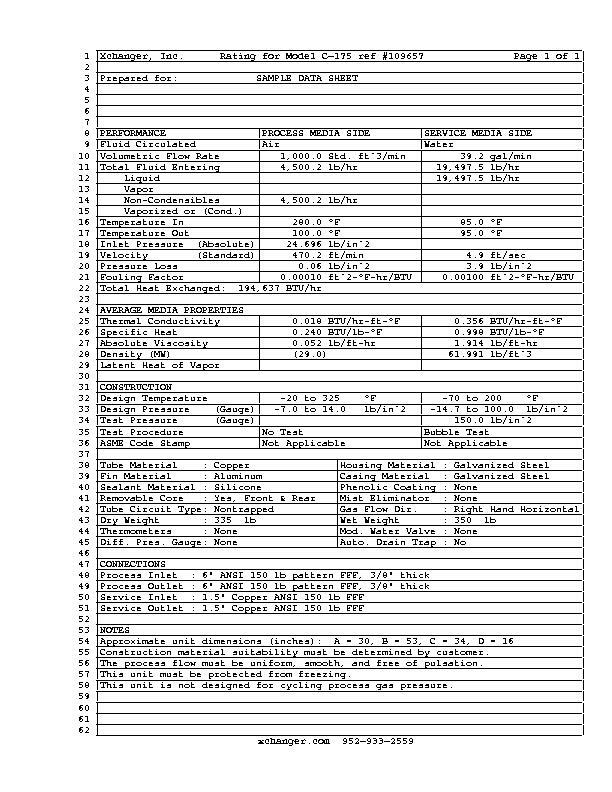 A specifically designed program calculates housing material thickness based on the ASME code. 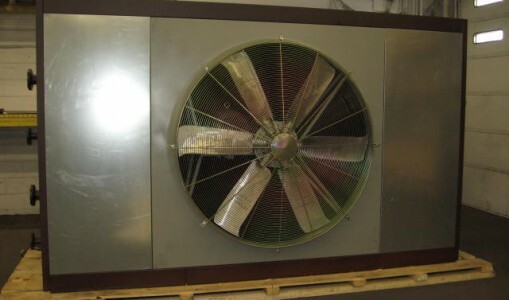 C-050, C-075, C-100, C-125, C-150, C-175, C-200, C-225, C-250, C-275, C-300, C-325, C-350, C-375, C-400, C-425, C-450, C-475, C-500, C-525, C-550, C-575, C-600, C-625, C-650, C-675 & C-700.